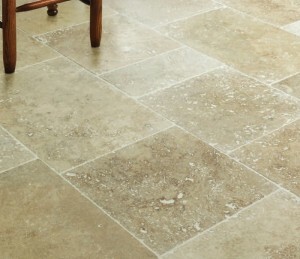 We carry out floor cleaning in Cheshire and also restoration and sealing to stone tiles. We carry out cleaning of floors in Cheshire to both commercial and domestic properties across the area. Many floors will need periodic maintenance to maintain their appearance and keep them in good condition. The types of floors we clean and restore include: Amtico, Karndean, Travertine, Limestone, Slate, Kitchen Tiles, Stone, Terracotta, Vinyl and Commercial Floors. If you need your Floor Cleaning in Cheshire, please contact us for a free and friendly no obligation survey and quotation. 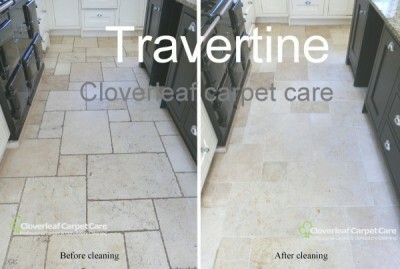 The cleaning of Amtico, Karndean, Slate, Travertine, Limestone, Terracotta, Commercial and industrial floors. Terrazzo composite stone flooring stripped and cleaned. Honing and polishing to Marble, Limestone and Travertine. Terracotta floors cleaned and sealed. 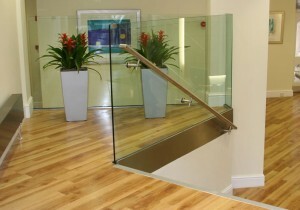 Shops, offices, commercial and industrial flooring including Altro safety flooring. Domestic floors cleaned and restored including kitchen tiles and grout. Rotary scrubbing machine stripping of stone and vinyl flooring. Sealing of vinyl flooring with high solids polish to improve looks and aid clean-ability. 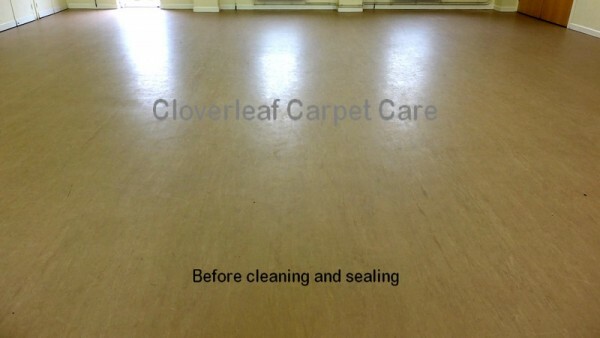 This treatment is anti-slip and prevents scuffing. The sealing of stone floors with impregnation sealer to help prevent stains. 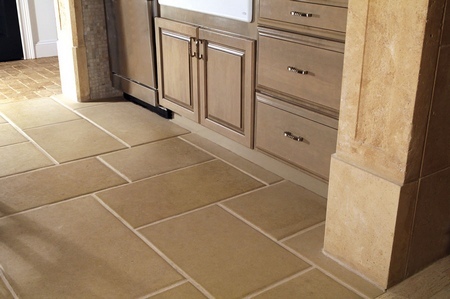 Limestone and Travertine have become very popular due to the attractive and warm look, especially in kitchens and hallways. In heavy traffic areas such as these, they can quickly loose their original appearance. Therefore regular cleaning is required to maintain the original appearance which can often be difficult and laborious for the home owner. Mopping with household cleaners and detergents is just not up to the job. In most cases we are able to clean and restore this type of floor to the original condition, revitalizing it’s appearance by using specialist products and floor cleaning machinery. If you require information about cleaning or polishing Limestone or Travertine floors in Cheshire, please follow the link below. Slate is a fine grained metamorphic stone formed from clay, sedimentary rock shale, and sometimes quartz. It comes in many vibrant colours and textures including green, gray and tan colours. 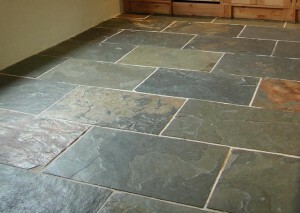 To ensure the natural beauty of your slate, it should be cleaned or stripped of grime and dirt periodically. An application of sealer or impregnator will not only enhance it’s looks but will leave an easy clean finish. If you require information about cleaning or restoratin of slate floors in Cheshire, please follow the link below. 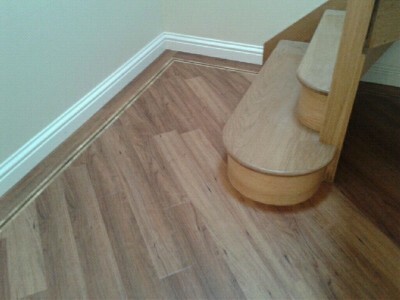 Amtico and Karndean floors will eventually become dull due to a build up of dirt, grime and also floor polish build up. This type of luxury vinyl floor is fitted not only to homes but also commercial premises too because of it’s excellent durability. Amtico and Karndean floors can become scuffed, dull and scratched over time due to continual traffic. In most cases, whether the floor is domestic or commercial, it can usually be restored to outstanding condition after many years of use. This type of flooring can be stripped and cleaned restoring the original colour with a new lease of life. If you require information about cleaning Karndean or Amtico floors in Cheshire, please follow the link below. Vinyl flooring is often fitted to commercial and industrial premises because of it’s long lasting durability and also for hygiene reasons. 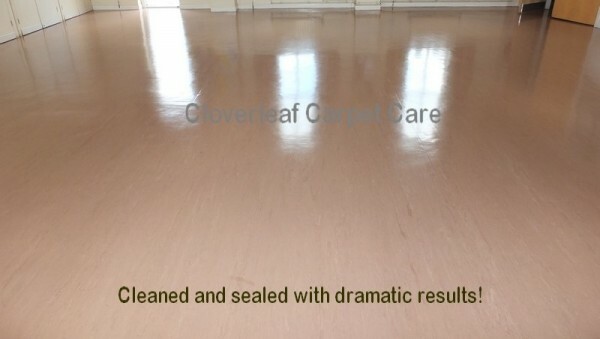 Being installed to high traffic communal areas such as foyers, canteens and wash rooms it can become scuffed, dull and scratched over time due to continual traffic. In most cases, commercial floors can be cleaned and restored to outstanding condition after many years of use giving an image to be proud. If you require information about cleaning or restoration of commercial floors in Cheshire, please follow the link below.